Located in Bentleigh, our flower shop has been providing high quality floral arrangements. We obtain the best quality. We provide our customers with top quality arrangements that we believe are better than our competitors. We provide flowers for all occasions, and can easily create arrangements for your special needs. 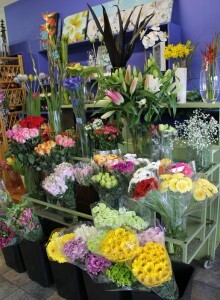 We buy the best quality flowers from our growers and suppliers, and our arrangements are always fresh and full. Our goal is to provide our customer with full satisfaction with our products and services! For sales inquires please email us or contact us on (03) 9553 0640.